One of the biggest critics of the proposed Trans-Pacific Partnership trade deal being touted by the White House raises questions about the Obama administration’s promises for the TPP in a new report. The 15-page “Broken Promises” study put out by the Senator Elizabeth Warren (D-Massachusetts) on Monday this week contains what the lawmaker’s office describes as highlights from “two decades of failed enforcement by the United States of labor and environmental standards” related to past free trade agreements. US President Barack Obama has hailed the 12-nation TPP agreement currently being discussed as a means of enhancing the economy both at home and abroad by establishing new relationships among Pacific Ring nations. Opponents of the trade deal have taken aim at the secrecy with which negotiations have so far been conducted, as well as whether or not the TPP will actually live up to the administration's promises, or spawn results similar to that of the North Atlantic Free Trade Agreement, or NAFTA. According to Sen. Warren’s analysis, previous examples suggest that the TPP has a good chance of contributing to further abuses in workplaces abroad if the trade deal is approved. "We have two decades of experience with free trade agreements under both Democratic and Republican Presidents. Supporters of these agreements have always promised that they contain tough standards to protect workers," the report reads. "The rhetoric has not matched the reality." For the president’s part, Obama said the TPP will be “the most progressive trade bill in history” and will have “higher labor standards, higher environmental standards” and “new tools to hold countries accountable.” According to the New England senator, however, similar statements made in the wake of NAFTA have routinely failed to be realized. Earlier this month, Pres. Obama appeared at the headquarters of footwear giant Nike to endorse the TPP. Nike’s top-brass says passage of the trade deal would create thousands of new domestic jobs for the corporation, and the White House says rules laid out within the agreement would force foreign partners to implement new rules and regulations. In Vietnam, for example, where around one-third of Nike’s products are produced, workers would be guaranteed a minimum wage and the right to form unions for the first time ever. “That would make a difference. That helps to level the playing field and it would be good for the workers in Vietnam even as it helps make sure that they’re not undercutting competition here in the United States,” Obama said. The White House has asked Congress to give the Obama administration fast-track authority to tentatively iron out any potential trade agreements on its own before asking Capitol Hill lawmakers to either accept or reject a proposal, but that effort stalled after a vote in the Senate last week ended with that request being shot down. Monday’s release marks only the latest installment in a standoff between Sen. Warren and the White House over the TPP. Warren wrote the Office of the US Trade Representative last year saying “We cannot afford a trade deal that undermines the government’s ability to protect the American economy,” and has remained an adamant critic of the proposal in the months since. 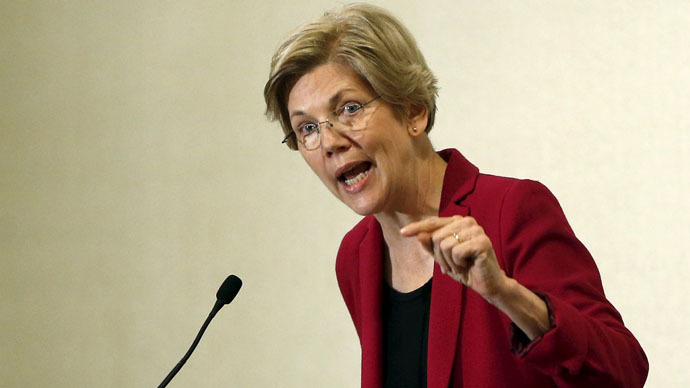 Obama recently responded to Warren’s concerns by saying, "The truth of the matter is that Elizabeth is, you know, a politician like everybody else” and that “her arguments don't stand the test of fact and scrutiny."